A social history of Labradors, and how they have become the world's most beloved dogs, by writer, presenter and long-time dog lover Ben Fogle. 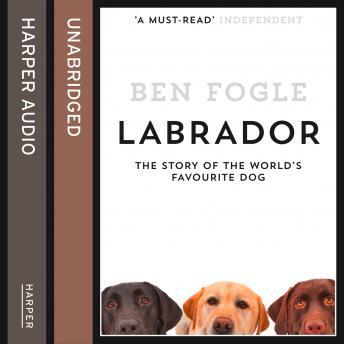 Ben visits Canada, discovers hair-raising stories of early Labrador exploits and uncovers stories of RNIB Labradors and Labradors at war, Labradors as working dogs and every other manifestation of the Labrador's character. Exploring their origin, early characteristics, their use as gun dogs, as therapy dogs, as police dogs, as search and rescue dogs and last - and absolutely not least - as family pets, Ben tells the story of a dog breed which has captured our imagination and love for hundreds of years.